By James “Bo” Catanese, Pharm.D. Men can be stubborn, or at least that’s what my wife tells me (everyday). As a gender, we don’t always listen to good advice when we should, or admit when we are wrong, and the topic of our health is no exception. But, the fact of the matter is, it’s time to start listening, as men’s health is an area that is sorely lacking. Current estimates are that nearly fifteen percent of adult men in the United States are in fair or poor health. Couple this with the facts that nearly thirty-five percent are considered obese, and that only about half get an adequate level of exercise, and it is easy to see why men’s health needs to be concentrated on more closely. So what can we do to improve our state of affairs? First and foremost are the two things we all hear every time we head to our doctor’s office, diet and exercise. While it might sound redundant to list them here, there’s a reason those two items get drilled into our heads. Eating a well-balanced diet is the key to any healthy approach. We are what we eat, and while enjoying chicken wings and a cold beer is a rite of passage for any Western New Yorker, it’s important to remember that this should not be a daily meal. Getting plenty of fruits and vegetables, limiting fried foods and saturated fats, avoiding refined carbohydrates, and eating lean meats is just a start to improving parameters such as blood pressure, weight, and cholesterol. When eating the perfectly balanced diet isn’t always possible, including a high quality multivitamin can help fill in the blanks. Likewise, adequate exercise is vital to improving heart healthy parameters and can help to lower the risk of heart attack and stroke. While it can seem daunting, regular exercise does not mean that we need to become Olympic marathon runners or champion weight lifters, although all the kudos to you if you do. Walking, jogging, swimming, or biking are just a few of the many options that are easy to perform for anyone. Thirty minutes of moderate level intensity exercise five times per week, or twenty-five minutes of vigorous level intensity three times per week, is more than adequate in providing cardiac health benefits. Mixing in muscle strengthening at least twice per week can lead to additional health benefits as well. While these steps are great at prevention, many of us have, or will develop underlying health conditions, sometimes even in spite of our best efforts. Unfortunately, men often bury their heads in the sand and ignore these issues when they present themselves, which most of the time, only makes things worse. It’s important to treat conditions as they present themselves, to both improve our health and to prevent further headaches down the road. Probably the most common health conditions in men revolve around the heart. Blood pressure and cholesterol are parameters which are often elevated, especially when lifestyle choices such as diet and exercise are less than adequate. As mentioned, improving those can go a long way, but when they don’t, further action is necessary. Naturally, there are many medication options to treat these conditions and drugs like “statins” have become commonplace in the medication regimen of millions of Americans to improve heart health. What sometimes isn’t as well understood is that there are many great nutritional options as well, for those who would like to reserve medication as a last resort. For instance, supplements such as omega-3’s, omega-7’s, red yeast rice, and niacin can all function to improve cholesterol and triglyceride profiles, and supplements like arginine may help to relax blood vessels, thus potentially lowering blood pressure. Improving these parameters is vital to decreasing the likelihood of heart attack and stroke. In addition to heart concerns, another men’s health topic has seen increased interest recently. Many are familiar with the symptoms declining testosterone levels can bring such as fatigue, cognitive decline, decreased strength, and declining libido. Testosterone replacement therapy has grown significantly as a result of this. This is often a great way to treat diagnosed declining levels. Unfortunately, many of the commercially available testosterone replacement prescription products come with a significant price tag. When price becomes an issue, many men will turn to specialty compounding pharmacies whom are able to customize dosages at a fraction of the cost of the commercially available counterparts. And for those men who would like to avoid hormone replacement, there are many nutritional options as well that may improve the symptoms associated with low testosterone. These products often include supplements such as tribulus, chrysin, diindolylmethane, and others that promote healthy testosterone metabolism and function. 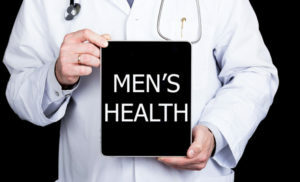 Even more specific to men’s health, enlargement of the prostate can lead to changes in urinary frequency and urgency, as well as declining ease of urination. Often, these issues will be treated with prescription medications to control the prostate growth, thus easing the flow of urine. Additionally, nutritional supplementation with items such as saw palmetto and nettle complexes may help to improve minor symptoms with a more natural approach. Finally, we’ve all at one point or another seen the commercials promoting erectile dysfunction medication. While it can be embarrassing for men, this condition is far more common than we think, and given the significant toll it can have on social and mental health, it should not be ignored given the many effective treatment options for it. Of course there are the pills that we see in the commercials, and these work effectively and easily for many men. However, these pills are often very expensive and sometimes not covered by insurance. When price is an issue, there are generic options available which are just as effective and can be had for a fraction of the cost. For those who may not respond to these, doctors will sometimes prescribe injectable mixtures, commonly referred to as “tri-mix”, which are custom mixed and often work with great success. Both the generic tablets and custom injections can be found at specialty compounding pharmacies such as Pine Pharmacy. 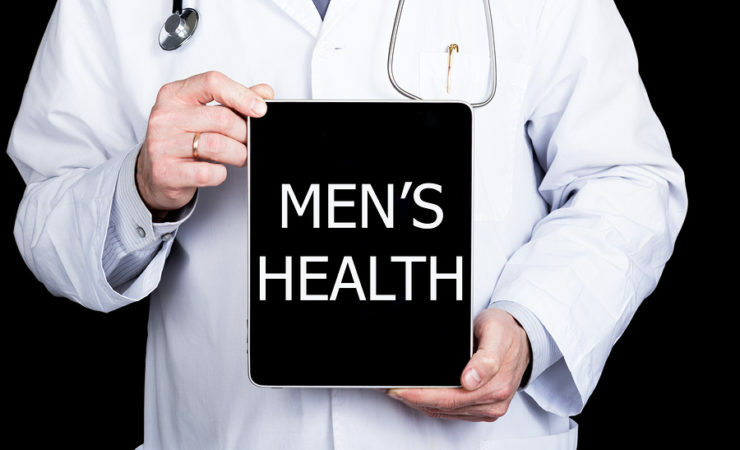 Of course there are many more issues and conditions in men’s health, but the bottom line to take away is that from both a preventative and treatment standpoint, men can stand to improve their overall health. Don’t be too stubborn guys, start working your way to a healthier you. After all, the worst words you can hear your spouse say are “I told you so”.